Abe Cohen Plumbing and Heating is who you need to call for residential drain cleaning and repair in Ahuntsic, Baie D'Urfe, Beaconsfield, Bord du Lac, Cote St-Luc, Dollard des Ormeaux, Dorval, Downtown, Hampstead, Ile Bizard, Lachine, Lacey Green, Lakeshore, LaSalle, Laval, Mile End, Montreal West, NDG, Nouveaux St. Laurent, Nun's Island, Old Montreal, Outremont, Pierrefonds, Plateau, Pointe Claire, Pointe St. Charles, Roxboro, Ste-Genevieve, St. Henri, Town of Mount Royal, Verdun, Ville St. Laurent, West Island, Westpark, Westmount. A blocked or damaged drain is not only annoying but can be a serious health risk to you, your family, and your neighbours. Any drain that does not evacuate must be dealt with promptly. When the problem goes beyond hair blocking a drain or an obstruction that can be cleared with a plunger, we hope that you will consider leaving this dirty job to our years of training and experience. 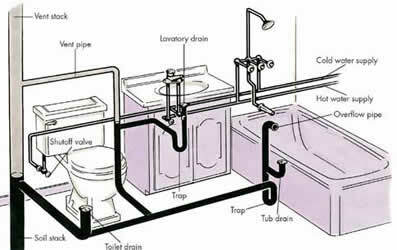 In the end, it can save you money over trying to deal with a serious drain problem by yourself.